Our trusted used vehicle dealership and car finance specialist, Ron Skinner and Sons, has a branch in Tredegar if you are interested in paying in affordable monthly installments for a used car. We are proud to have helped hundreds of customers find tailored finance deals in Tredegar and take pride in delivering an exceptional standard of service. Securing car finance in Tredegar is simple and hassle free with Ron Skinner. We have relationships with trusted lenders, allowing us to provide customers with the best car finance deals for their budgets. Even if you have a bad credit rating, we offer a variety of packages and will help you find the right option for your circumstances. Browse our website and if you find a car you like, you can use our simple car finance calculator to get a quick quote based on your own budget and contract duration. Try it out now! Ron Skinner and Sons has a team of car finance specialists on hand to offer you any help and support you may need. Contact us via phone call or make your way to our site in person, and we will happily guide you through your options to help you discover the best car finance deals in Tredegar. Submit an online application form today to find out how much you could borrow. 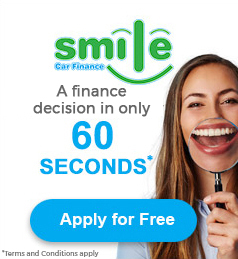 Our finance partners can provide you with a decision in under a minute!